My musings on the mainstream media and culture. Now, how would you react to receiving a card addressed in this manner? Select one. I wouldn’t care. I don’t care what people call me. I would cringe. I have an identity of my own and am not defined by my decision to marry a man. I would be happy. When I was a tween, I wrote “Mrs. So-and-So” on my notebooks whenever I had a crush on a boy. My dreams have come true. I would not do #4 because I have some semblance of manners and have to function as a social being in this imperfect world. But I would certainly consider this. 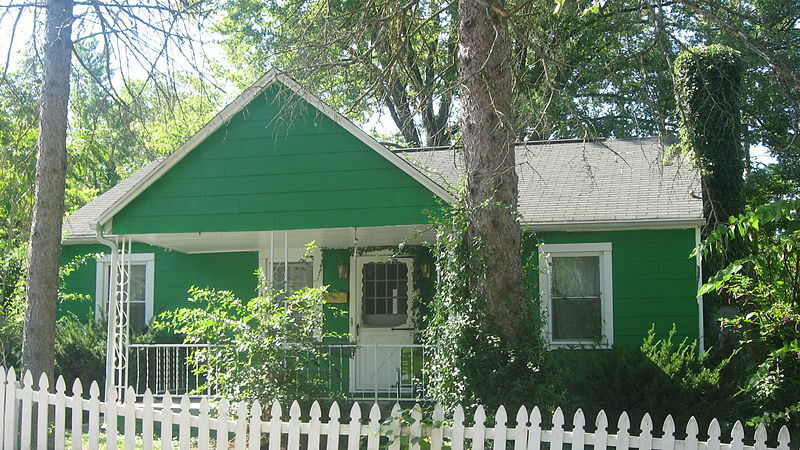 I live in a first-ring suburb of Minneapolis in a house that was built in 1949. In postwar America, my neighborhood was the pinnacle of American normalcy, where people retreated from the madness of the war years into adorable 900-square foot boxes. Women were pressured to abandon their wartime jobs, crank out babies, and make lovely concoctions out of lemon Jell-O and Veg-All. (All of this, of course, was dependent on whiteness.) And no, not everybody subscribed to this notion that conformity was synonymous with patriotism, but many did. These days, we tend to look at the little houses and shake our heads at the conformity. But have things really changed? You might think so—until you warm up your television and flip the channel (so to speak) to HGTV and House Hunters. If you’ve never seen House Hunters, the premise is simple. There’s a couple, or a single person, or a family. They want to buy a house. A realtor comes by and shows them three houses in their budget. The pros and cons of the house are weighed, and a decision is made. They buy their house. They are thrilled with their house. Buyer’s remorse does not happen on House Hunters, ever. They are always thrilled with their house. Occasionally, House Hunters features people who are looking for something a little different, although the “different” people kind of fall into tropes, like the prototypical artsy couple who wants to fix up a 1920s Craftsman. What’s stunning to me, though, is how rare this is. By far, the majority of house hunters essentially want the same house. So, for the last few weeks I’ve been dealing with some severely painful headaches. Percocet helps, which means I spent quite a bit of time last week planted hazily on my couch, renting old episodes of Modern Family. So here are my Percocet-laden thoughts on the ideology of Modern Family. Like all ideological thoughts (with or without Percocet), these are up for interpretation, and I’d love to hear what you have to say. Let’s start with a way that this show doesn’t transcend mainstream sitcom ideology at all, and that is the fact that the three intertwined family are upper middle class. They all have massive homes in one of the most expensive real estate markets in America. 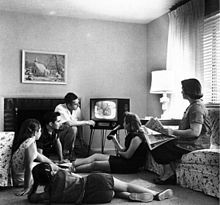 Since the onset of TV families, it’s always been very much the norm for families to have lots of stuff. Advertisers have deliberately pushed for that. The consequence is that our sense of what counts as “middle class” and what we need to be normal has become inflated, and consumerism in American life has exploded. What does it mean to be a media critic? What does it mean to “think critically” about something like Modern Family or Survivor or Facebook games or Justin Bieber lyrics? And why would one want to bother putting thought into something that’s been created for the purpose of entertaining an audience? I used to be a media studies professor. I left that profession, happily, for a number of reasons. One of the reasons was that I found it immensely difficult to teach many my students to critically analyze things that they insisted were “just entertainment.” While there were moments when I loved teaching, I found that overall, I lacked the talent to bridge the gap between students who came to my class in search of business-savvy communication skills and my desire to teach students to study the media as a way to develop critical thinking skills. So, let me start by going back to the original question I posed: what is media criticism? And what is it not? Merry Capitalismas, or, What if They Sold Christmas Decorations All Year Long? Ex-pat Fashion Blog: Life should be an adventure. So should fashion. Follow me on mine.